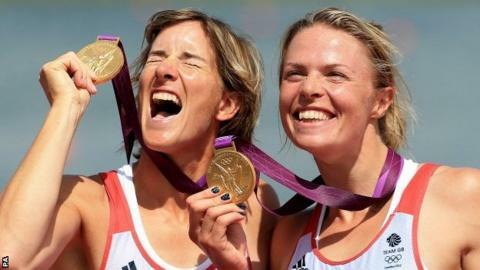 Women are being denied the chance to capitalise on the legacy of the London Olympics, says a UK charity. The WSFF also believes women do not get the same media coverage as men. On Wednesday, WSFF will warn MPs about the problem at a meeting of the All-Party Parliamentary Group on Women's Sport and Fitness. WSFF chief executive Sue Tibballs is set to tell the group: "The achievements of Jessica Ennis, Sarah Storey, Kath Grainger and so many others have taken support for women's sport to new heights and made 2012 the best year ever for women's sport. "But we cannot rely on goodwill alone to overcome the obstacles to women's sport taking its proper place in public life. "This has to change or the Olympic legacy will have failed for women." WSFF is proposing a strategy that would see greater media coverage of women in sport, a rethink of school sport to encourage more female participation, more female leadership at the highest levels of sport and more opportunities for participation. According to WSFF, only 5% of sports media coverage is devoted to women and 0.5% of commercial investment. "We need to make sure that young girls and women are given more opportunities to see their female sports heroes in action to inspire them to get active," said Tibballs. Meanwhile, at the age of 14, only 12% of girls are doing what is considered enough physical activity, half the figure for boys of the same age. "The issues are endemic and chronic," Tibballs added. "We can't solve all this overnight but we need to capitalise on the level of interest [generated by the Olympics]." WSFF wants the government to scrutinise how public money is spent on sport to find out if the funding is reaching women. But it also says that there are problems deeply ingrained in society that need to be addressed. Tibballs added: "For young women to do a sport when their mates are not, the chances are they will be viewed with suspicion because they are not paying enough attention to their appearance."